Video teaser of ALESSIO MIRAGLIA’s new album with interviews to partecipants, included me that I composed all acoustic drum tracks. 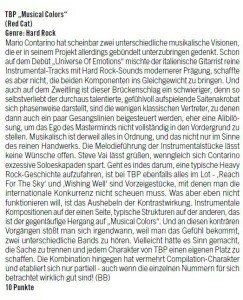 New review by LEGACY (Germany). Nuova recensione di LEGACY (Germania). 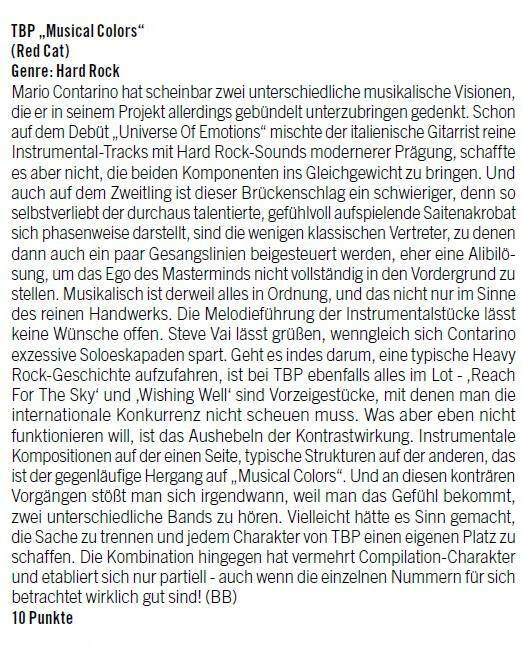 Interview to TBP, Mario Contarino’s project, by Linea Rock 4th, March 2015. Intervista a TBP, progetto di Mario Contarino, da Linea Rock del 4 Marzo 2015. New review by Aristocrazia Webzine. Nuova recensione di Aristocrazia Webzine.